Delaware County (pop. 117,671) is east of Madison County. It’s one of six Delaware counties, none of them in the state of Delaware. 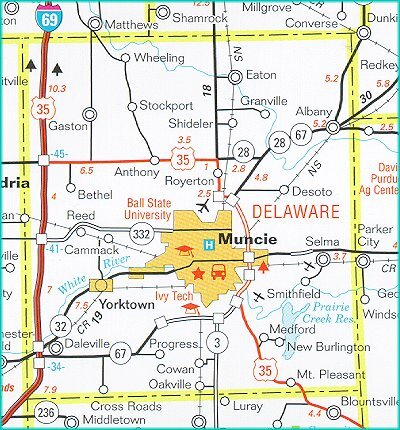 The county seat of Delaware County is the city of Muncie (pop. 70,085). 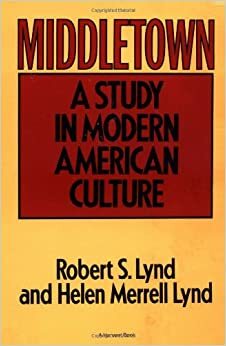 The citizens of Muncie have probably been studied more than the citizens of any comparable city, thanks to the “Middletown” studies, which began in the 1920s. 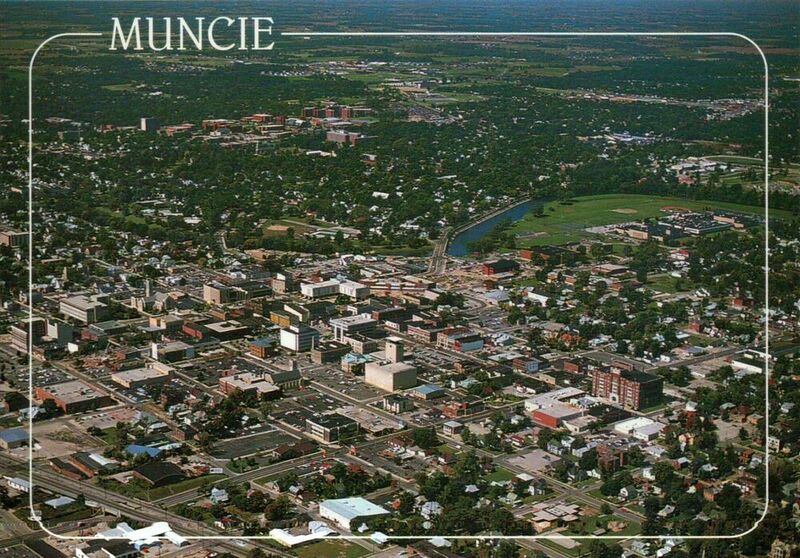 Muncie has often been presented as a typical, small American city. Muncie has a long history as an industrial city, with iron and steel mills and the Ball Brothers Glass Manufacturing Company. The five Ball brothers were George, Lucius, Frank, Edmund, and William. 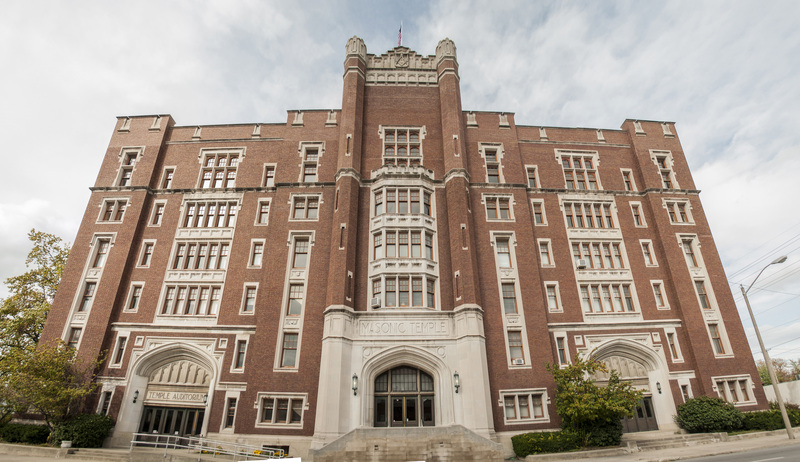 The Ball Brothers’ many philanthropies in Muncie included the purchase of the Indiana Normal Institute from foreclosure, in 1917. After the school was donated to the state, it eventually became known as Ball Teachers College. 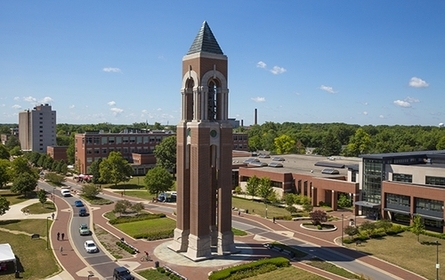 Ball State University now has 21,000 students. 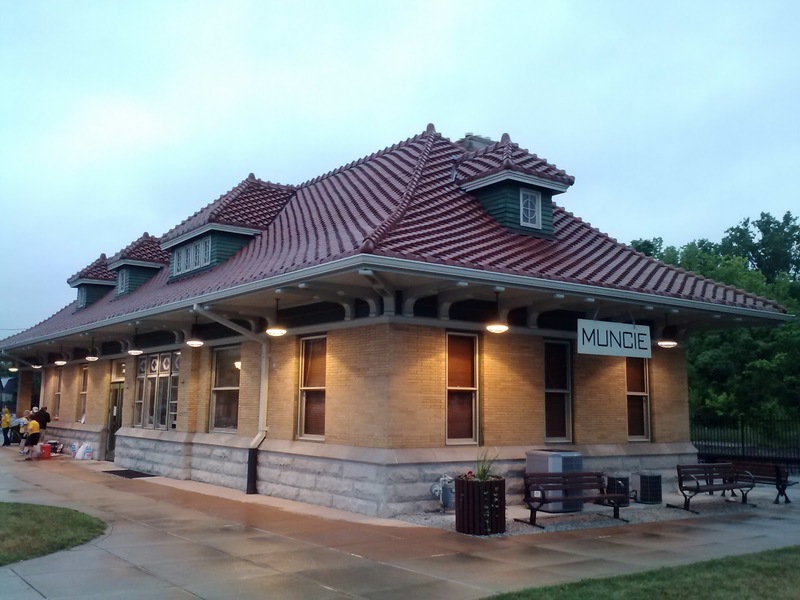 The Cincinnati, Richmond, & Muncie Depot (1901) is now a visitor center and office for the Cardinal Greenway, a 60-mile rail trail on the old right-of-way. The “Cardinal” was the last passenger train on the route. The Masonic Temple (1920) in downtown Muncie is now the home of the Cornerstone Center for the Arts. 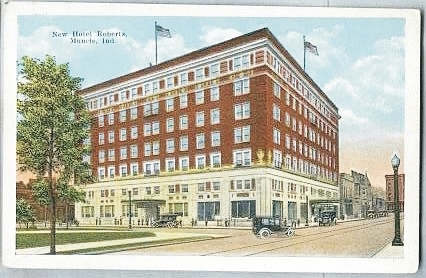 The six-story Roberts Hotel (1921) has recently reopened as the Lofts at Roberts apartments. 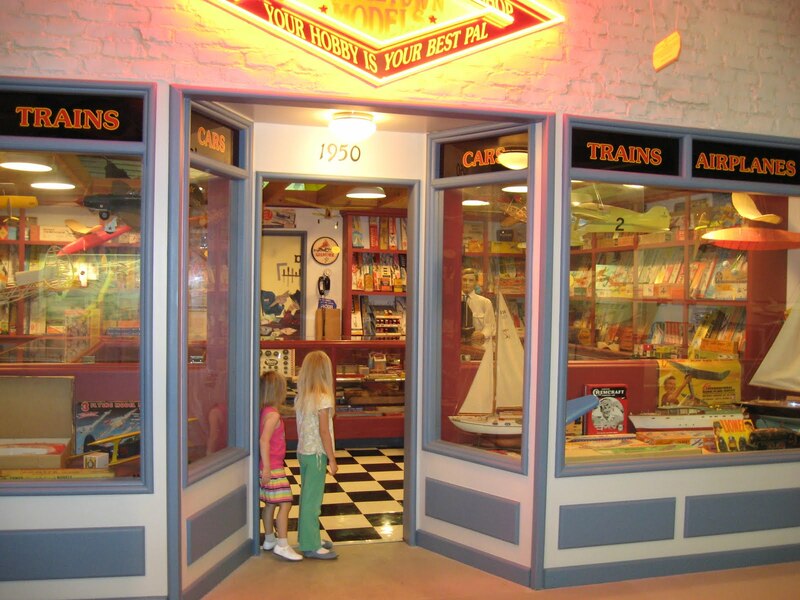 The National Model Aviation Museum in Muncie features a recreated 1950s-era hobby shop. 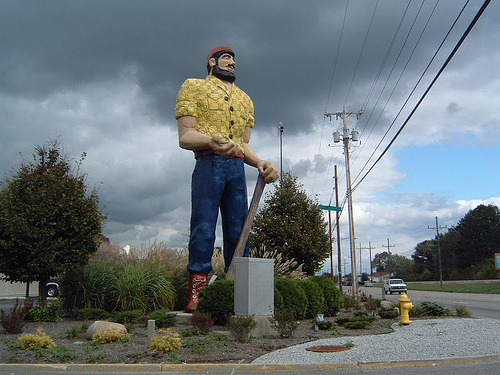 Muncie has a 25-foot Paul Bunyan statue, outside the Timbers Lounge, southwest of downtown. 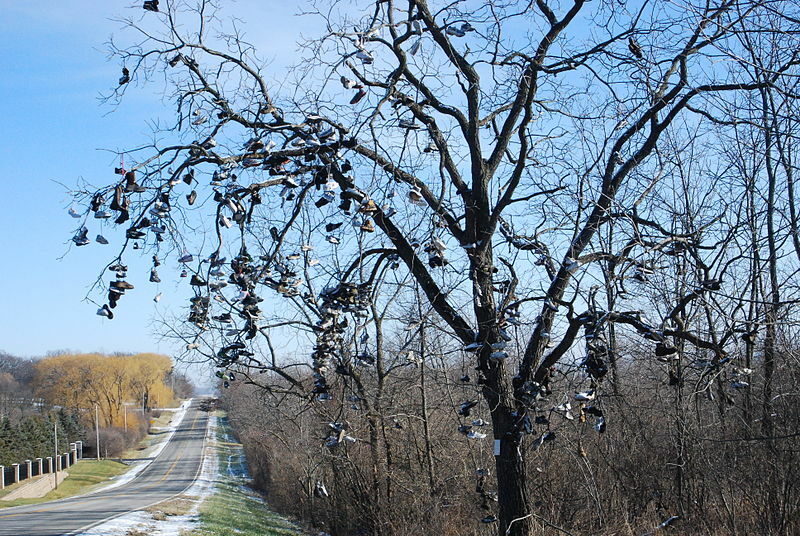 The town of Albany, northeast of Muncie, is known for its shoe tree. This entry was posted in Indiana and tagged Ball Brothers, Ball State University, Cardinal Greenway, Middletown, Muncie, National Model Aviation Museum. I like the shoe tree. ok, i’m different.